It seems like people are always talking about the end of the world, doesn't it? Y2K, the Mayan Apocalypse, Blood Moon Prophecies, nuclear war, killer robots, you name it. In Apocalypse Any Day Now, journalist Tea Krulos travels the country to try to puzzle out America's obsession with the end of days. 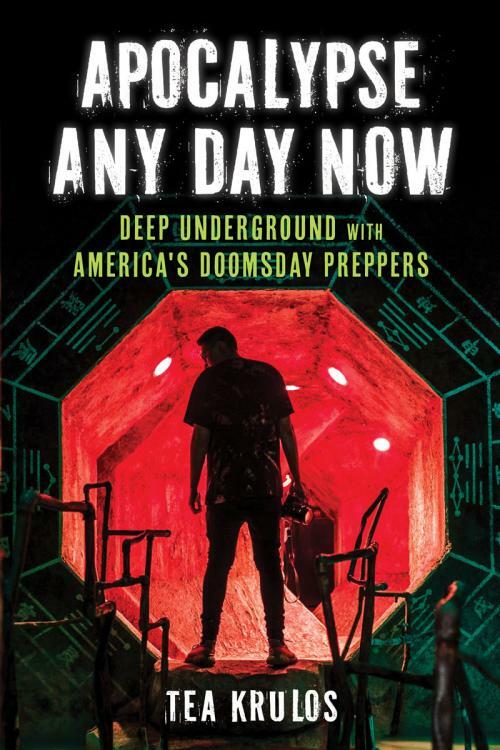 Along the way he meets doomsday preppers-people who stockpile supplies and learn survival skills-as well as religious prognosticators and climate scientists. He camps out with the Zombie Squad (who use a zombie apocalypse as a survival metaphor); tours the Survival Condos, a luxurious bunker built in an old Atlas missile silo; and attends Wasteland Weekend, where people party like the world has already ended. Frightening and funny, the ideas Krulos explores range from ridiculously outlandish to alarmingly near and present dangers.